Crossword puzzles have been the staple of entertainment since the early 1900’s, and the worldwide love of solving these puzzles has grown tenfold with each generation. So it’s no wonder that the children of this generation have also grown to love and appreciate a good challenge that solving crossword puzzles can provide. Aside from that, it is also well-known that by solving crossword puzzles, children are presented with the opportunity to expand their vocabularies, build problem-solving skills, as well as improve in many other key areas of life. So where do parents turn when they want to introduce their children to the love of solving crossword puzzles? In today’s society, the internet is a large part of our lives, and the lives of our children. Many parents use this simple tool to provide their children with many more advantages that were never offered to them during their childhood. By conducting a simple search, parents all over the world are finding hundreds, if not thousands, of online websites with crossword puzzles that children can play on the computer! If you’d rather your child not be glued to the computer for hours playing crossword games, there are many other options available as well, including printable crossword puzzles for kids. These puzzles can be easily printed off using your home computer and printer, and come complete with a list of clues and themes. Many also have a separate printable sheet that includes the answer key so that parents can quickly and easily check the child’s answers. In many cases, parents can even find websites that allow them to create a crossword puzzle using their child’s spelling words from school! These websites often let parents print off a .pdf copy of the crossword puzzle they have created for their child, or in some cases, the child can solve the crossword puzzle right on the computer. This is a fantastic way to not only make studying for spelling tests fun and less stressful, but it also helps the child catch their spelling mistakes and correct them with minimal guidance by adults. One example of how parents and teachers can use crossword puzzles to help young school-aged children learn and remember their spelling words may be to use the spelling word’s definition as the “clue”, and have the child fill in the crossword puzzle based on that clue. For younger children, parents could make the clue word something more simple, such as a word that rhymes with the answer word. In addition to online and printable crossword puzzles, parents can also take advantage of the many app options available for their cell phones and tablets. You may be aware of the many crossword puzzle apps available for adults already, but did you know there are also several crossword puzzle apps available for kids? You can even find some apps that are specific for your child’s age group and developmental stage. These apps are a great way to keep a child’s mind engaged and growing, even while on long car rides, doctor’s office waiting rooms, or simply for quiet nights at home. If you’d rather stick to more traditional methods, you may opt for providing your child with a magazine that is specifically designed for children. Many children’s magazines, such as Highlights, include crossword puzzles and other games that are designed to stimulate and engage the child’s young mind. Another place you may spot some great child-friendly crossword puzzle books would be your local bookstore. Bookstores often sell more than just traditional reading material, especially for the younger population. Many bookstores now also carry crossword puzzle books, seek-and-find puzzle books, and magazines on their shelves. Ask the bookstore clerk to help you find an age-appropriate crossword puzzle book for your child, and watch the excitement in his or her eyes as he successfully completes each puzzle in the book. 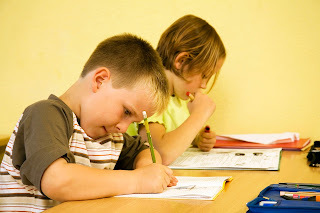 In addition to the many ways mentioned above to get your child involved in solving crossword puzzles, don’t be afraid to speak with your child’s school teacher, school or public librarians, and other professionals in the education or literacy fields for more ideas and ways to find child-friendly crossword puzzles. Today, many schools all over the world are building upon this worldwide love of crossword puzzles in their classrooms to help enhance their lesson plans and teach children fundamental lessons in a fun and creative way. Your child’s school teacher is exposed to many more tools than most parents, and they will be delighted to hear that you want to encourage your child to solve crossword puzzles. After all, they know the lifelong impact these simple and fun hobbies can have on your child’s growth and success! Whichever option you choose, by introducing your child to the love of solving crossword puzzles, you’re not only helping them grow their vocabulary; you’re also molding them into bright, well-rounded children of the future!